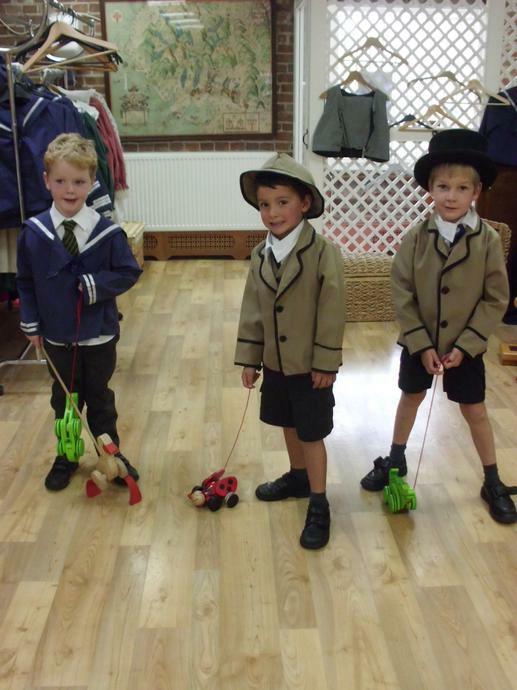 In Reception we deliver the seven areas of the EYFS curriculum through a mixture of formal and informal activities. You will find some information about the work we cover in class near the classroom door and a newsletter dedicated to Reception will be given out at the end of each week detailing what your child has been learning in class that week and offering suggestions as to how you can build on this at home. If you need more information please speak to a member of the Reception staff. 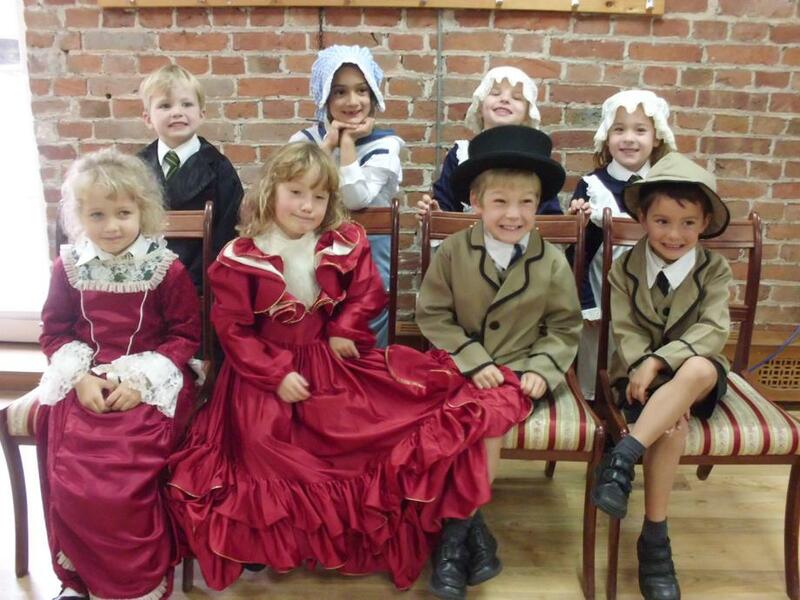 The website will be regularly updated to keep you informed of what your children have been doing. 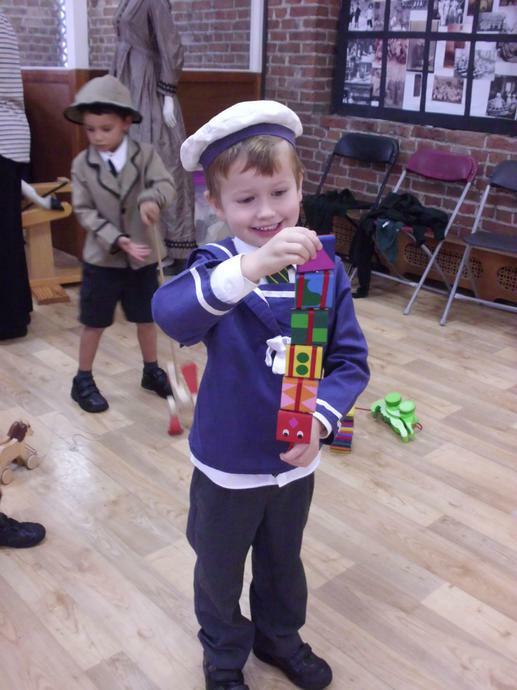 This year Reception will form part of the Foundation Stage Unit where they will work closely alongside Kindergarten. 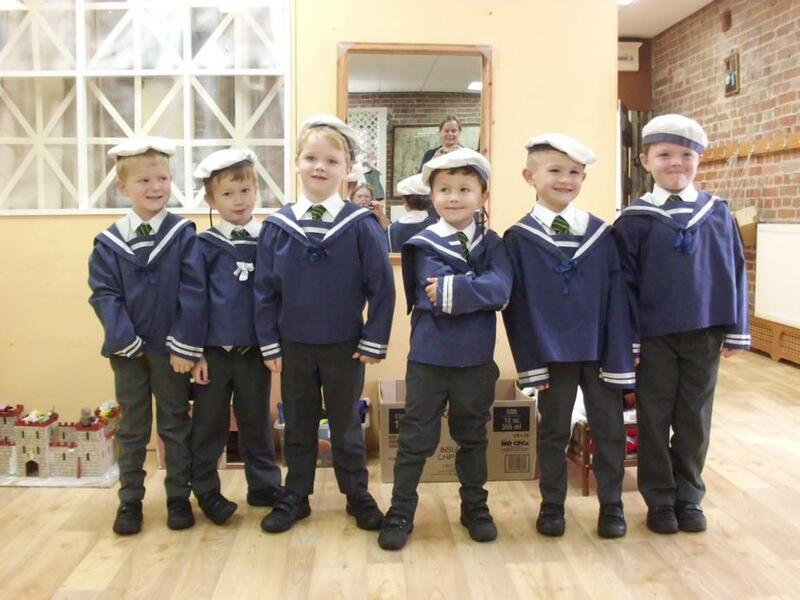 All Foundation Stage children will follow the same topics and there will be times of the day where activities will be mixed alongside times that are dedicated to activities specific to the age and needs of different groups of children. All Reception children are asked to bring a bottle of water in every day and a piece of fruit for their snack. We hope your child will have an enjoyable year in Reception. Welcome back. We hope you have all had a lovely break. This term our topics will be 'Chinese New Year' and 'Castles'. We will also be doing activities to coincide with the Spring Festivals that occur this term. We have had lots of fun so far this term. We enjoyed Chinese ribbon dancing and performing our dragon dance. We had lots of fun when Image Musical Theatre came to perform Pinocchio. Our main topic this term will be 'Journeys'. 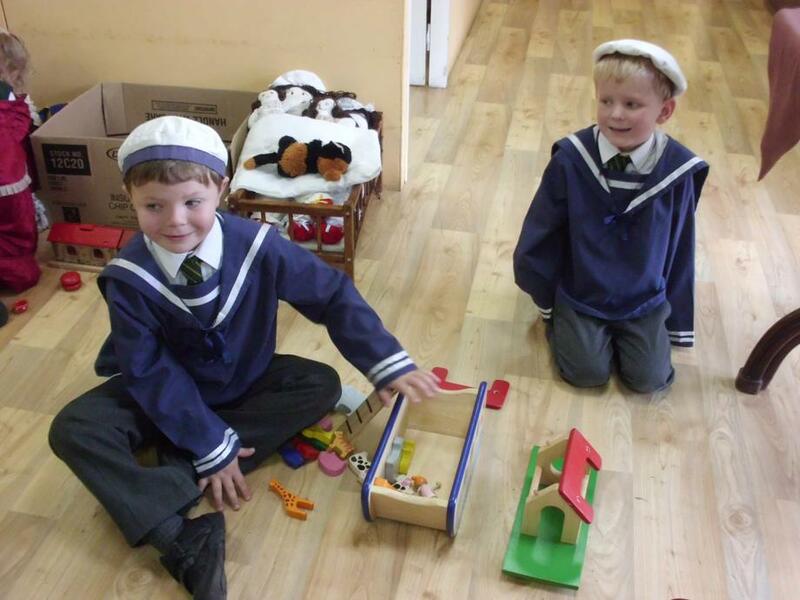 In addition to these, our mini-topics will include 'Harvest and Autumn', 'People Who Help Us', and 'Christmas'. During our topic on 'People Who Help Us' the children had fun learning about how to stay safe when they are near a road. We made apple crumble at harvest time. We had fun on our Autumn walk. Hector the reading dog came to visit us. We enjoyed a visit from the local police this week (8.11.18). We had a great trip to Cosford. 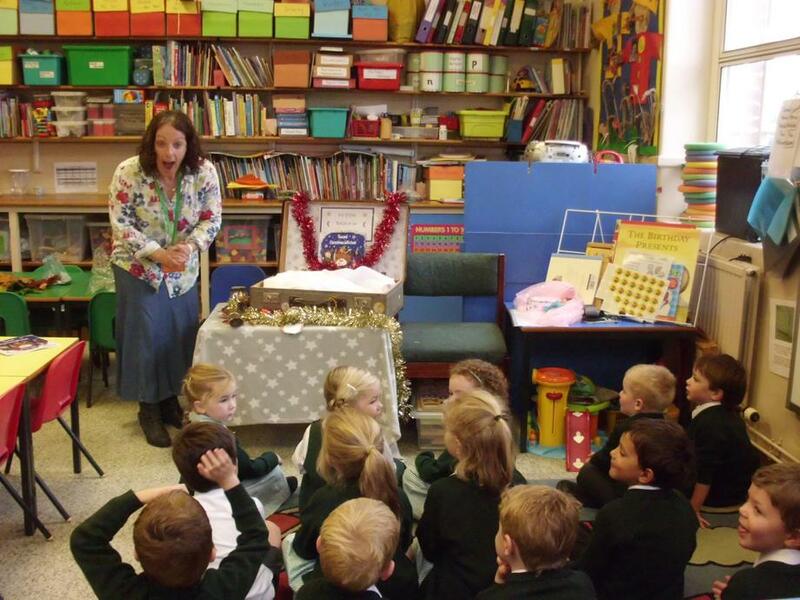 We had a local author, Emma Blantern, come to visit us in school to read her new story 'Teezel and the Christmas Witches'. 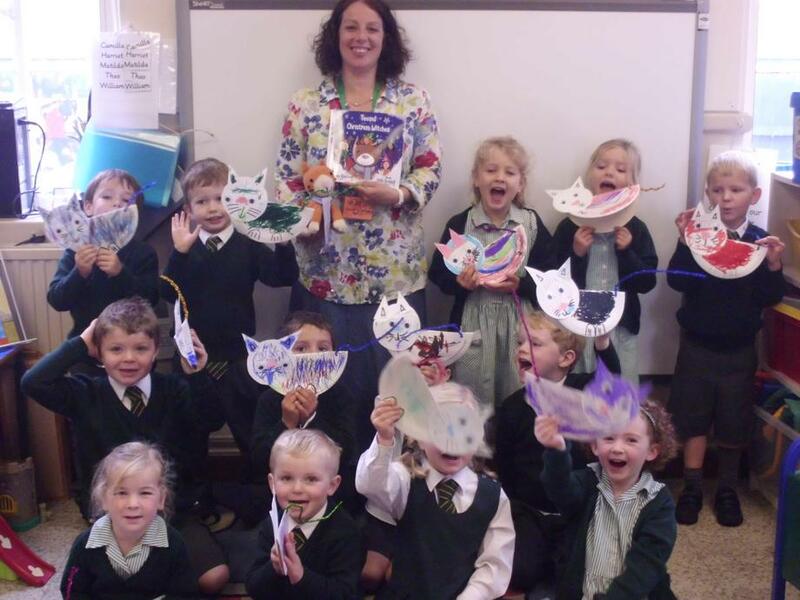 We all thought it was a great story and we really enjoyed making our very own Teezel cat. 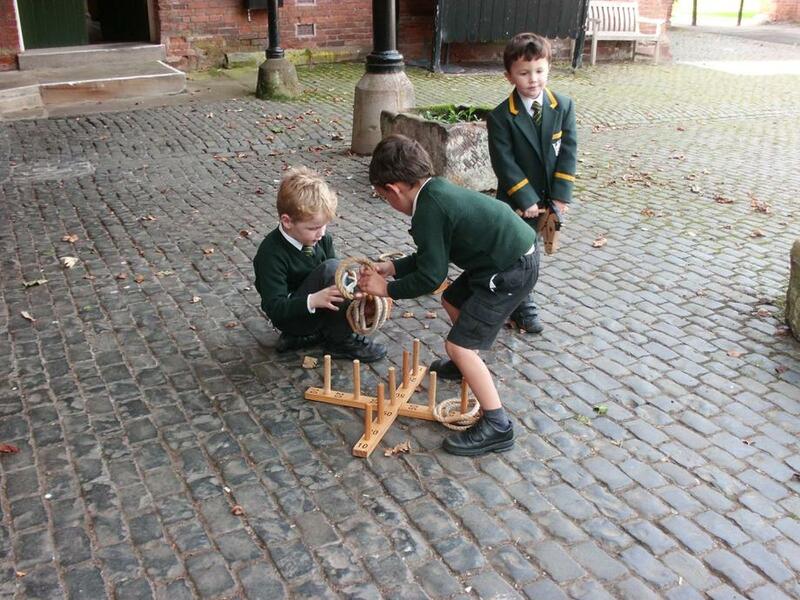 On 10th October, Reception were lucky enough to go on a trip to Weston Park to learn all about toys from long ago. 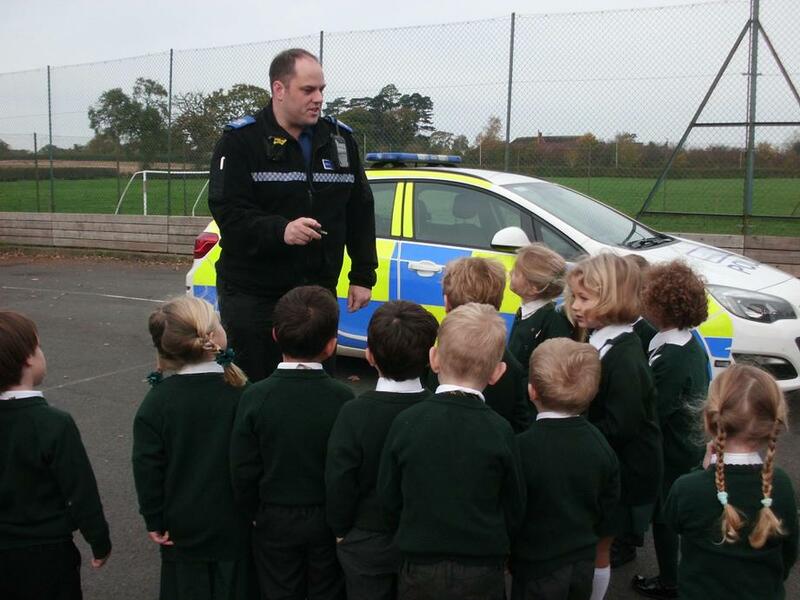 On Wednesday 1st november we enjoyed a visit from our local PCSO. 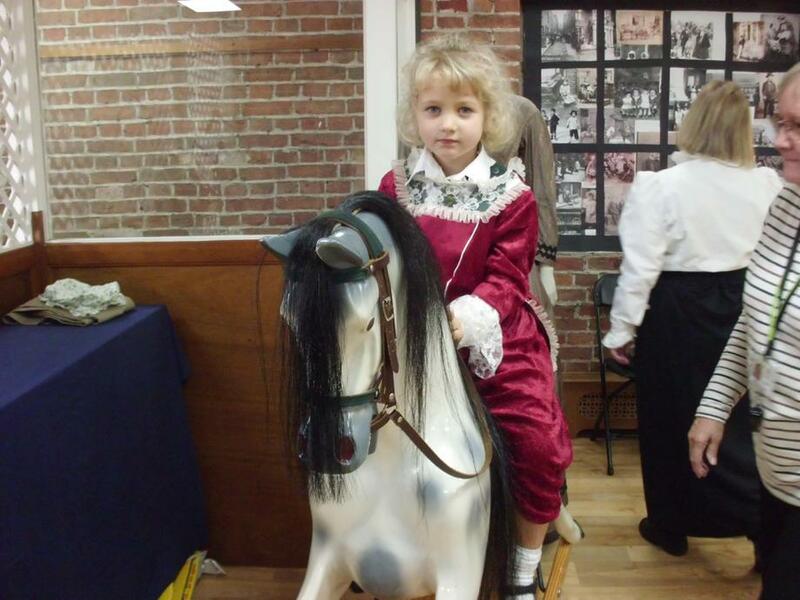 We have had lots of fun in the run up to Christmas. The children have made lots of different things and have enjoyed their Christmas dinner as well as the pantomime and most of all a visit from Father Christmas. Welcome back for the Spring term. We have lots of fun things planned for the children this term to do with their topics on 'Winter' and 'Space'. 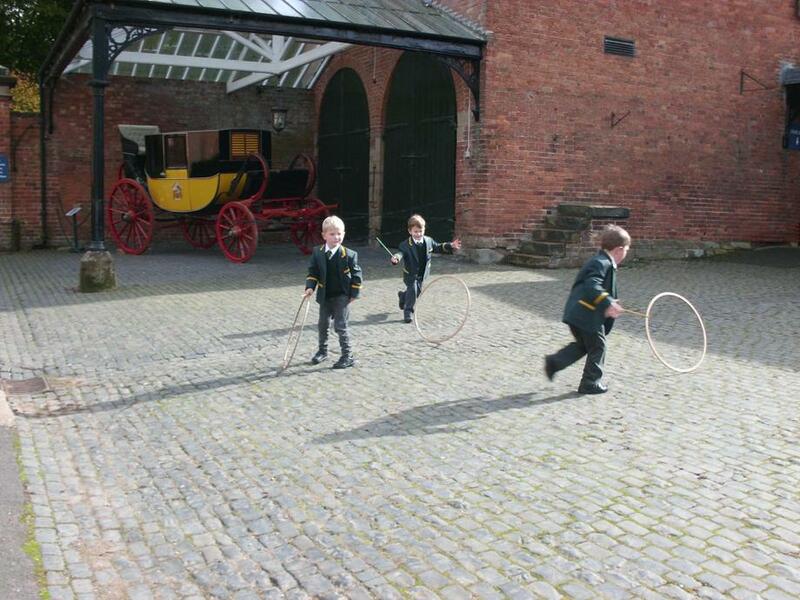 This first half term the children will be focusing on 'Winter' and we're hoping for some more snow! After half term the children will be learning all about 'Space' and we will be visiting different planets, both in our solar system and also ones created by the children themselves. Alongside these main topics we will also be learning about some of the winter and spring festivals that happen this term including Chinese New Year and Easter. We had great fun going on an Easter egg hunt. Welcome back for the Summer Term. We hope you all had a lovely Easter holiday. This term we will be running two topics split into the two half terms. The first half term we will be looking at 'Growing', and the second half term we will be looking at 'Minibeasts'. 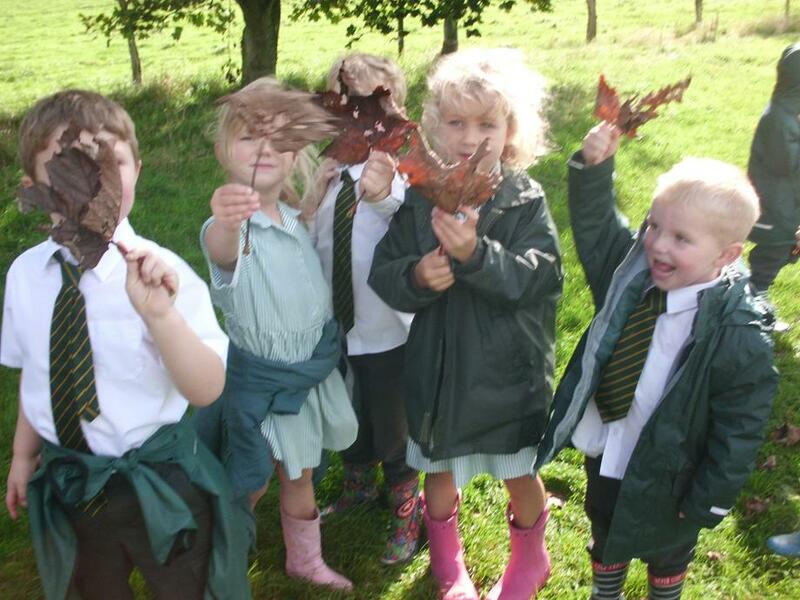 We have lots of exciting activities planned for this term and we are hoping the sun will shine so we can go outside to plant lots of lovely things which we will later harvest and eat. 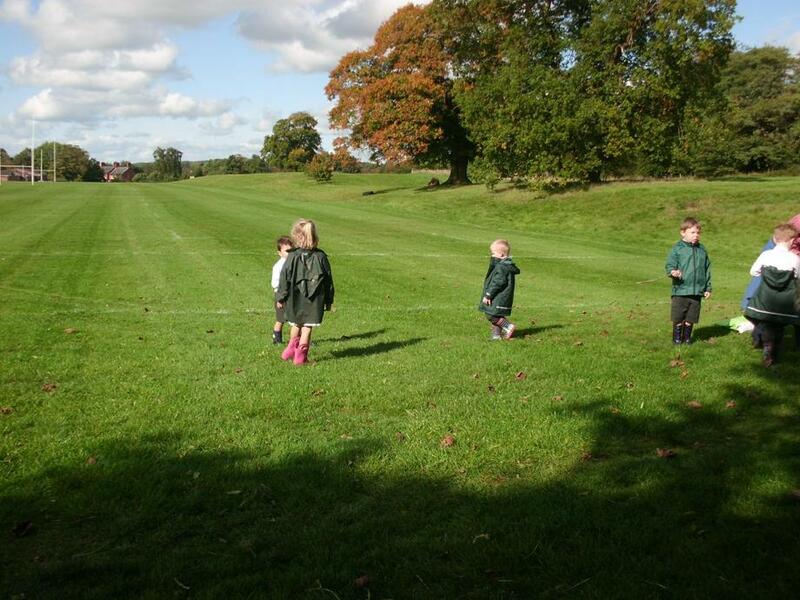 We will also have lots of fun exploring the school grounds for minibeasts to learn about. We had lots of fun acting out the story 'Jack in the Beanstalk' in a role play corner. The children planted dwarf bean seeds in a plastic cup so that they could observe the roots and stalks growing. Once they were big enough the children planted them in one of our tubs outside. We are looking forward to harvesting, cooking and eating them. 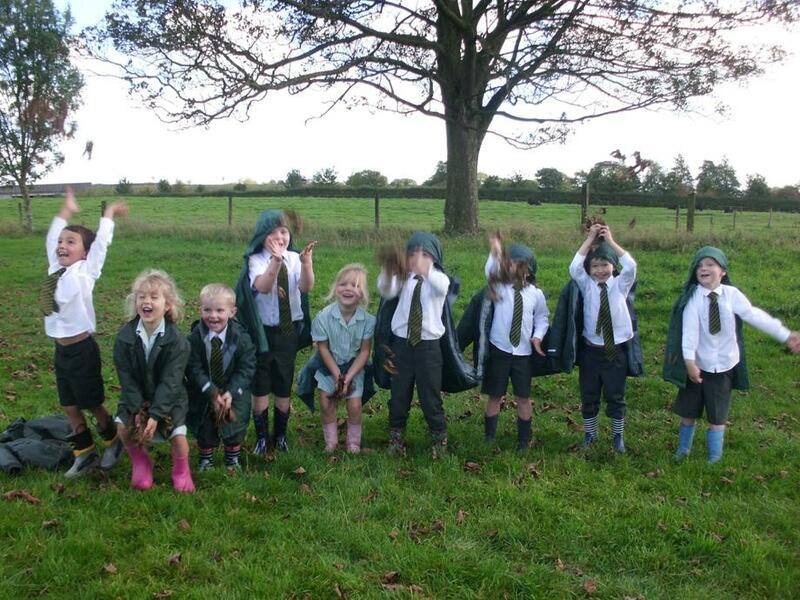 The children have had lots of fun hunting for minibeasts and recording their results.